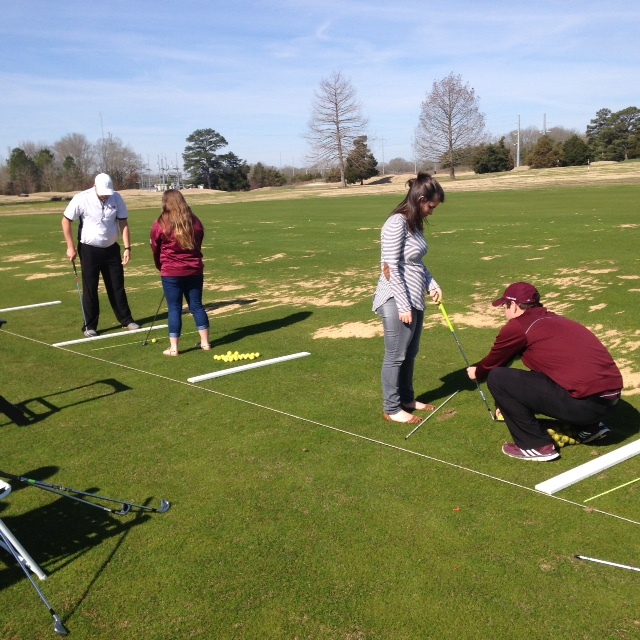 Recently, Mr. Pat Sneed developed a great lab session for the golf course operations class titled “Employee training”. Students were assigned in groups of two and given time to develop a stepwise procedure for pre-operation inspection, equipment operation, and post operation care of an assigned piece of equipment. After a given amount of time, each team presented a mock training session for the operation of the equipment with one acting as the trainer and the other as the trainee. 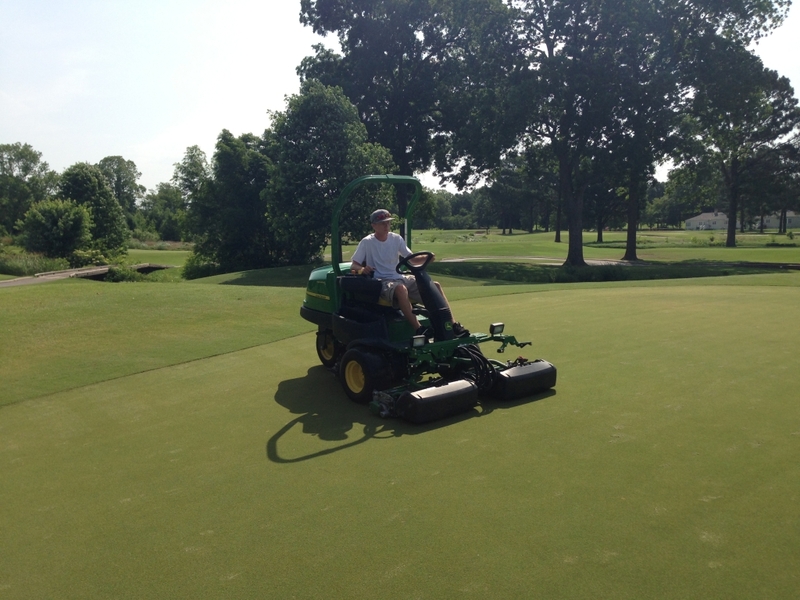 The following pieces of equipment were used in this exercise: walking greensmower, triplex greensmower, cup cutter, greens roller, and greens aerifier. 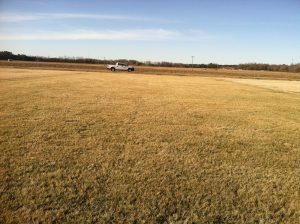 The piece of equipment detailed in this blog post is a triplex greensmower. Stay tuned for future blog posts as other pieces of equipment will be highlighted. Line up the given direction of cut based on the direction of the approach. We hope you find this information valuable and applicable to your golf course. However, with any piece of equipment, each golf course will have its own nuisances with the care and operation of mowers. Therefore, feel free to take this training sheet and add any necessary steps suitable for your particular site. 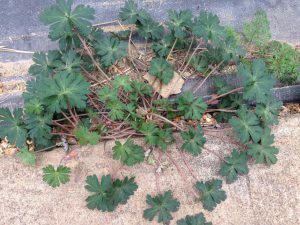 For those of you who have followed the blog in 2014, you may have noticed a “Weed of the Week” series published throughout the semester. 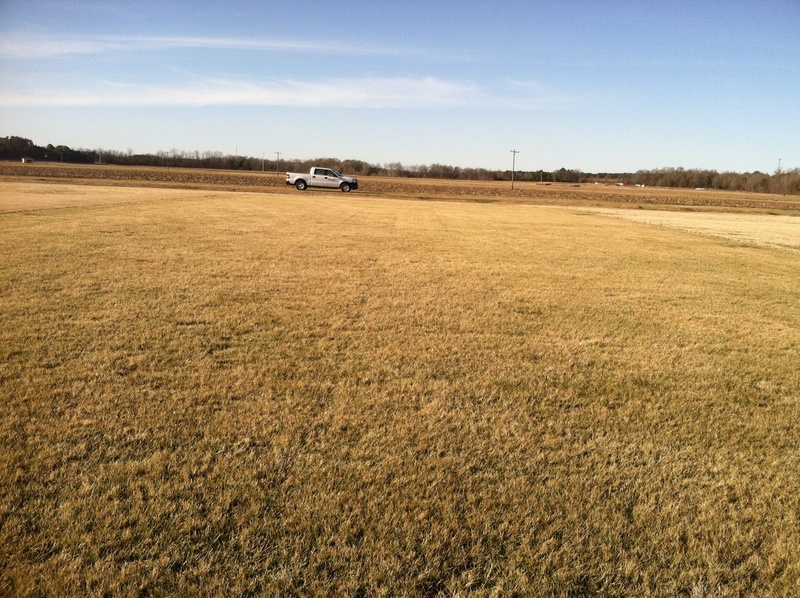 This is a direct result of the turf students enrolled in PSS 4823, Turfgrass Weed Management. During the semester, students were placed into groups and assigned a specific weed to discuss life cycles, identification characteristics, and control options. As you can all see for yourselves, the class did a great job discussing each weed that was highlighted. In addition, I partnered with Dr. Hock in the department of Human Sciences at Mississippi State University in order to collect data to monitor progress throughout the semester. 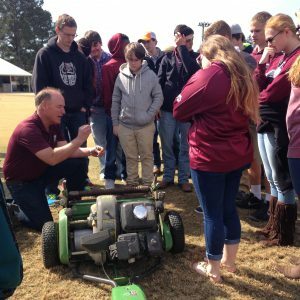 We just received word that this blogging project was recently accepted and will be presented at the 2014 North American Colleges and Teachers of Agriculture (NACTA) conference. A job well done by our turf students! 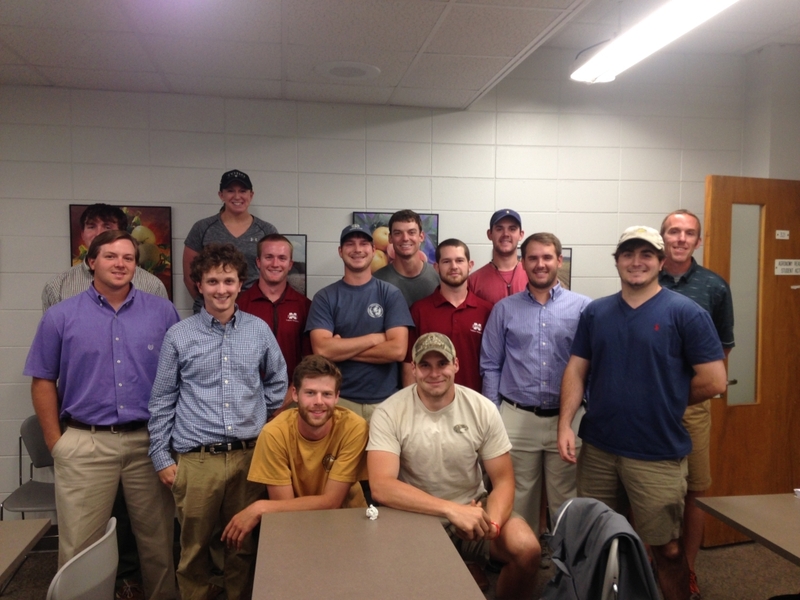 Student contributors included Dylan Boteler, Michael Denney, Dustin Miller, Douglas Martin, Jed McCoy, Ashley Averitt, Wes Dyer, Corey Garrison, Kyle Grider, Justin Hickman, Ethan Flournoy, Coleman Torgersen, Jordan Billingsley, and Christo Sullivan. Below is the title and abstract that will be presented. Blogging is a tool that is increasing in popularity among all ages and for many different uses. The use of blogging in the classroom is a unique tool to increase student comprehension and writing skills. Blogging in teams allows students to receive feedback from their peers to improve their writing. Students enrolled in Turf Weed Management at Mississippi State University were randomly assigned into groups of three to research, write, and publish a blog post on an assigned weed species. Students completed a brief questionnaire prior to working on the assignment to determine their familiarity with blogs. Of the 13 students in the class, 10 (77%) had never contributed to any blog. Following the initial blog posts, the instructor identified areas for improving the quality of content and writing ability. Spending more time initially helping students interpret appropriate information found on the Internet resulted in higher quality content in later posts. Also, going through line by line with students on each blog post has resulted in a more concise writing style. Students completed a questionnaire at the mid-point of the semester to assess how they were progressing with the assignment. Twelve students responded they were highly satisfied with the blogging portion of the course. 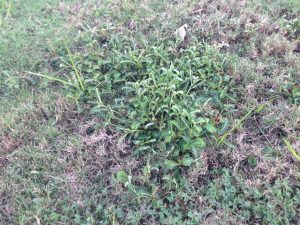 The blogging component of the course has helped improve student writing skills and the ability to find reliable information about individual weed species. Shepherd’s-purse, Capsella bursa-pastoris, is a winter annual or biennial plant that reproduces by seed. 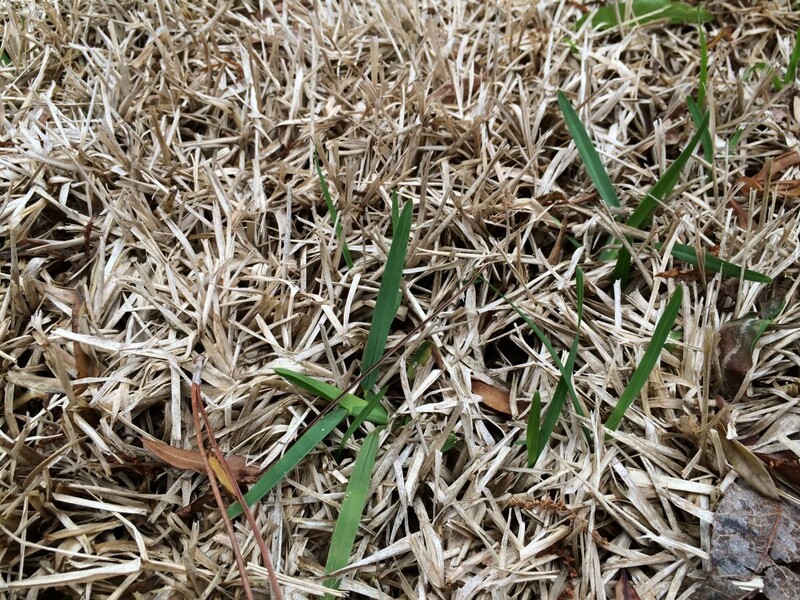 Seed will typically germinate when soil temperatures are below 60oF in the fall or early spring. 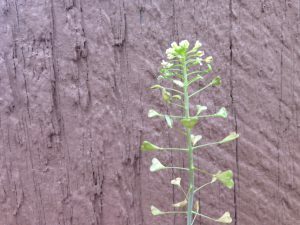 Shepherd’s-purse first emerges in the form of a rosette. 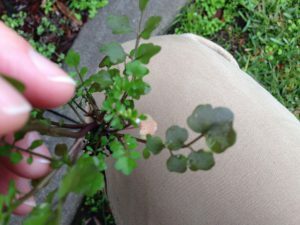 Base leaves are 3-6” long, about 1.5” wide, and deeply lobed. It is often confused with dandelion. The lower leaf surface has scattered hairs. 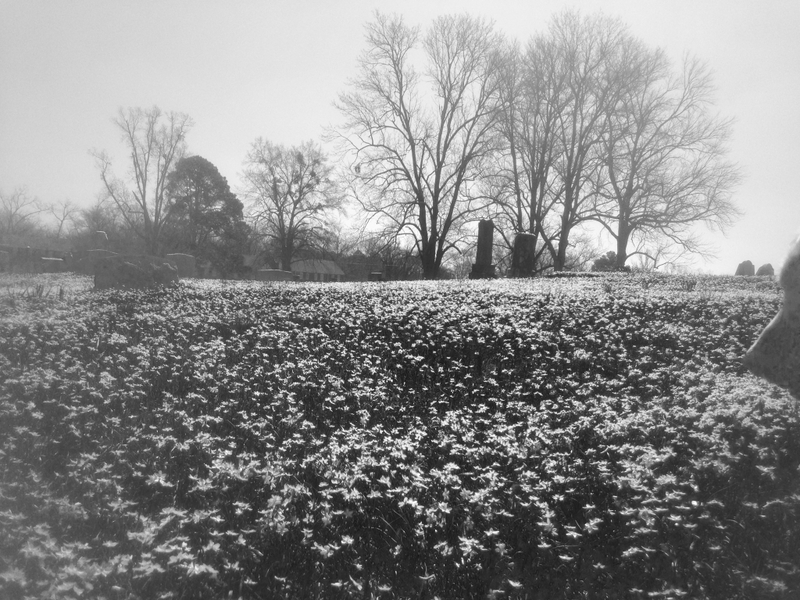 The rosette overwinters, then resumes growth in the spring. 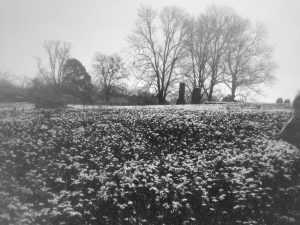 A slender stalk appears and the plant continually bears flowers from spring well into the fall. The flower stalk may be simple or branched, and can grow 6 to 18” tall. The mature seed pods are found on the lower portion and clusters of new flowers can be observed at the tip. Individual flowers have four white petals that are less than ¼” in size. 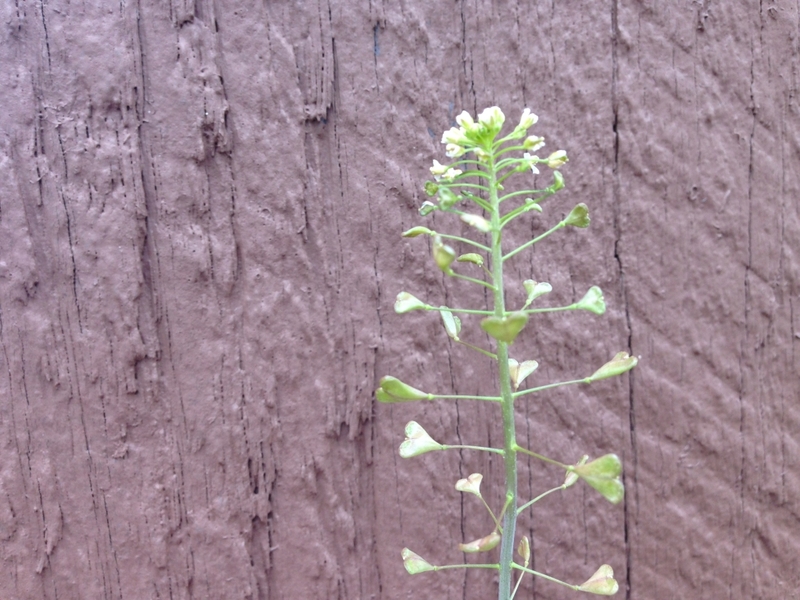 The leaves on the flower stalk grow 1-2” long and are shaped like arrowheads. 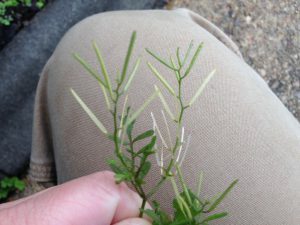 The flat seed pods are about ¼” long, with a notched tip and pointed base. 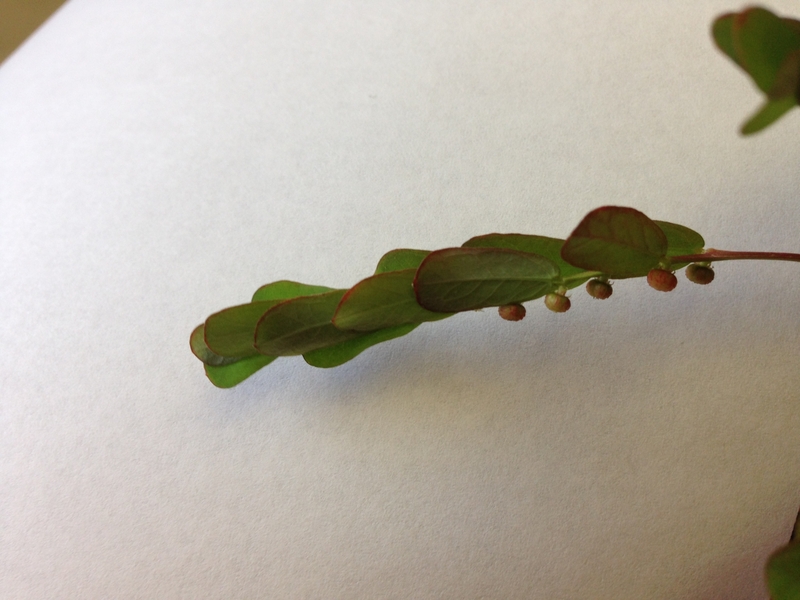 A narrow stem about ½” long attaches each seed pod to the raceme. Seed pods are attached at a 90o angle every ¼ to ½” up the stem. The pods are initially green, then turn to a tan color with two rows of tiny yellow-orange seeds. Each plant produces roughly 30,000-50,000 seeds. Only 1/32” long, seeds are easily scattered by wind or water. 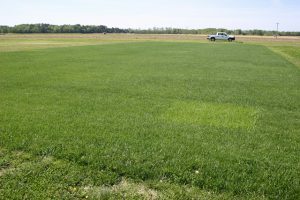 Mechanical – Tilling and mowing can be effective if done before flowering occurs. 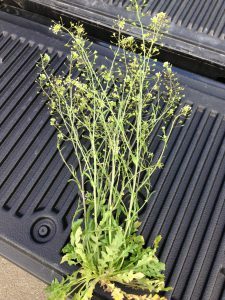 Chemical – Mustards are resistant to many herbicides, but dicamba or metsulfuron can achieve good control. 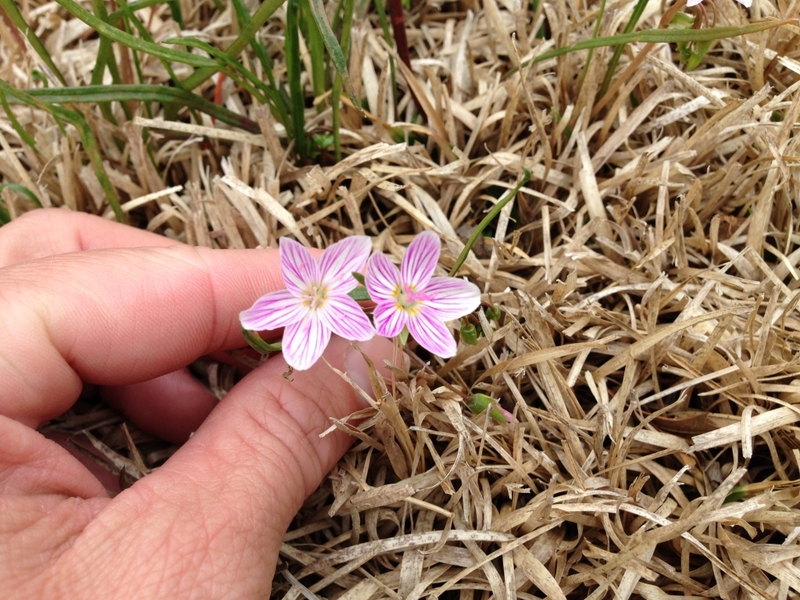 Claytonia virginica L., otherwise known as Spring Beauty, is a part of the Purslane Family. 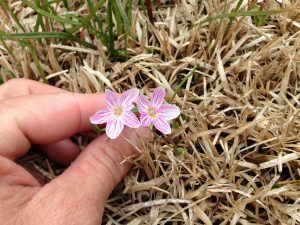 This perennial herb is often considered a “sign of spring” because it is one of the earliest blooming spring flowers. The sweetly scented Spring Beauty overwinters and propagates through its corm (swollen underground plant stem that serves as a storage organ). Spring Beauty has made most of eastern North America its home. It has been located as far south as Texas, Louisiana, and Mississippi and as far north as Canada and Maine. 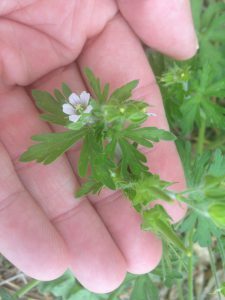 Spring Beauty’s flower has five petals, five curved stamens, and three lobed stigmas, while the leaves are slender and lanceolate. 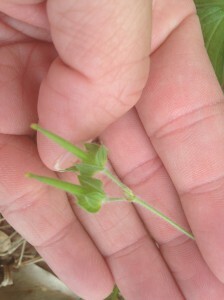 The seeds are very small and are released when the capsule fruit breaks open. The seeds also have elaiosomes (fleshy structures on the seeds that are high in lipids and proteins) that allow for ant dispersal. Spring Beauty has a very short life-span; therefore, instead of spending time and money to control it, one might choose to admire the beauty of the weed. 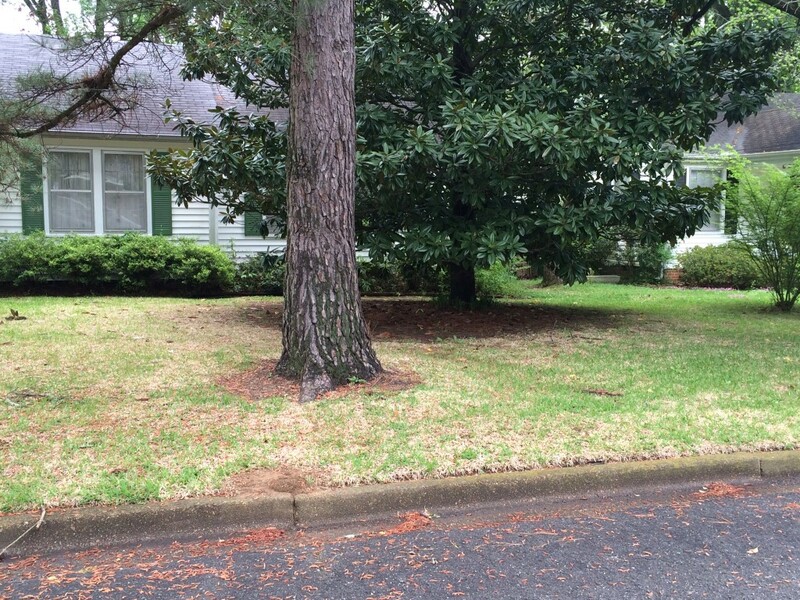 Due to its low growing habit, mowing is usually not a viable option for control. 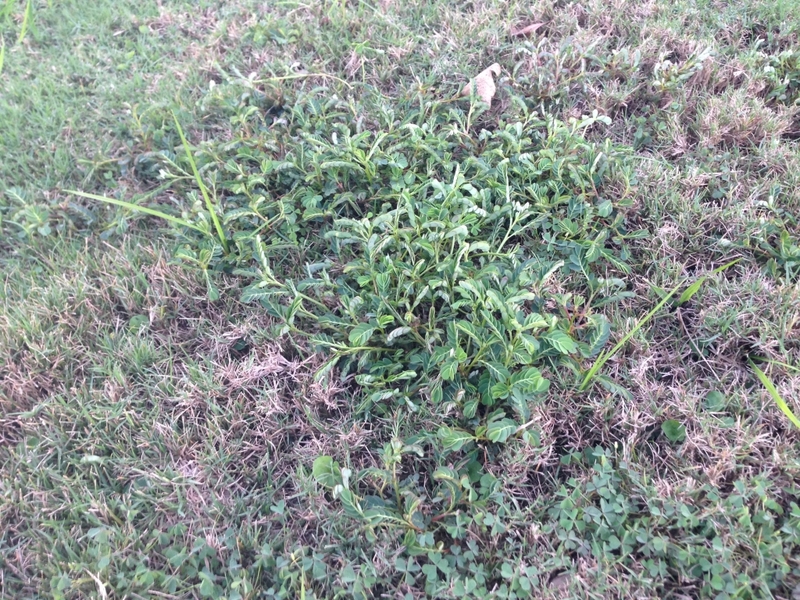 Maintaining a strong turf canopy through proper turf cultural practices goes a long way in controlling this weed. 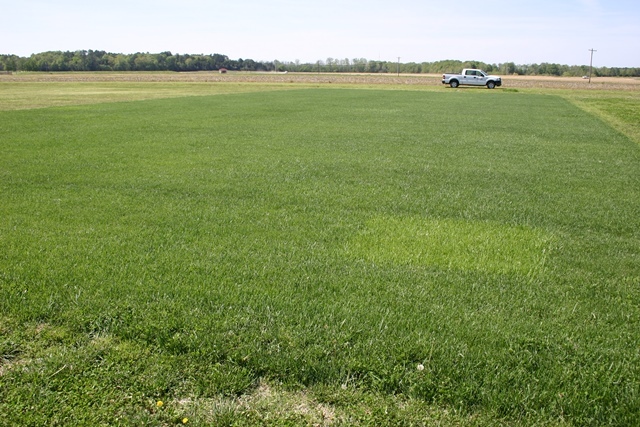 For chemical control, broadleaf herbicides such as 2,4-D, mecoprop (MCPP), MCPA, dicamba, and tricolpyr are available. 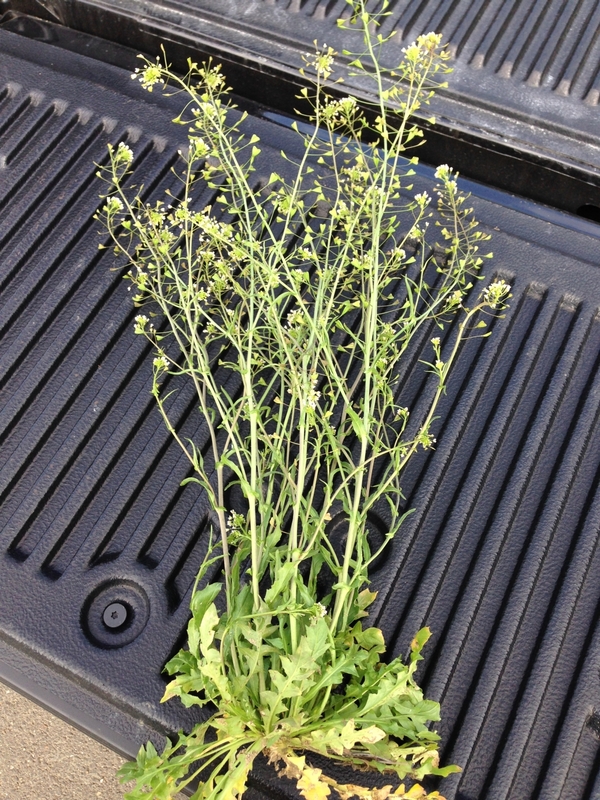 As always, read the herbicide labels and use the recommended rates. Last updated March 17th, 2014. Technical problems, contact support.